We have before us today a fixup that was never meant to have been. 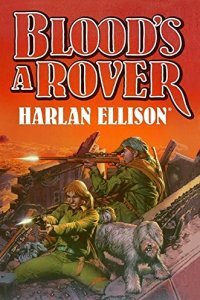 For many years, Harlan Ellison fully intended to write a novel-length sequel to his classic tale, “A Boy and His Dog,” to be titled Blood’s a Rover. But other projects always intervened, until at last Ellison’s recent ill health foreclosed all possibilities of new fiction from his famed manual typewriter. To adumbrate as best as possible under these unfortunate circumstances the novel-that-will-never-now-be, Ellison and editor Jason Davis have assembled and arranged all the extant material from this fictional universe, to produce the only possible version of the title. So what we have in this package is the short story “Eggsucker,” which serves as a prequel to the core novella, “A Boy and His Dog,” followed by the short story, “Run, Spot, Run,” which picks up the action right at the conclusion of the novella. Lastly, extending the arc, comes a heretofore-unseen teleplay, “Blood’s a Rover,” written in 1977 for a TV show that NBC was considering, but ultimately passed up. Interspersed are some epigrams from The Wit and Wisdom of Blood, a little sidebar to Richard Corben’s comic-book version of the novella. What I’d like to do here is to detail the less familiar portions of this fixup, gauge how the whole package works together, and then look at the most fully formed and most important portion, the famous 1969 novella. Exiting that centerpiece, we encounter “Run, Spot, Run” and find Vic and Blood exiled from their city. Vic begins to fugue out due to the trauma experienced in the preceding novella. He is careless enough to be webbed up by a giant mutant spider. Unable to help his partner, Blood reluctantly flees and seems destined to be forever on his own. The substantial, full-length teleplay–at 100+ big-print pages, it probably would have filled an hour of TV time–that lends its title to the fixup opens with Blood meeting and befriending a young woman named Spike, who has managed to survive as a solo without any canine assistance. They quickly bond, and seem on the brink of further adventures when–small spoiler–Vic shows up. He’s back to his old feisty, headstrong self. A new dynamic forms reluctantly among the trio, and they encounter Fellini and other rivals as all parties maneuver for the score of a lifetime: an untouched Walmart! These pendants to “A Boy and His Dog,” although written at widely separated dates, all exhibit a uniformity of style and approach that contribute to the seamless consistency of this fixup. The story arc–moving from the directionless, pure survivalist tone of the opener, to the hopeful, cooperative outlook of the teleplay, at whose end the trio set out to find fresh shoots of civilization “over the hill”–has the remit of a full novel. I will say that the teleplay–probably because of the all-ages medium for which it was intended–is less righteously nasty than the other components, more of a feel-good outing, despite some visually amped-up instances of savagery. But on the whole, this book possesses the heft of a fully plumbed universe. The engine that powers it all, of course, is the 1969 novella. Upon rereading, some 50 years on, the story maintains its blunt grace, economical, gritty prose, potent satire (the people in the underground redoubts of stability and peace are more vicious and utilitarian than the wasteland inhabitants) and shocking enactments of moral parsing of loyalties. One can almost picture the thirty-five-year-old (!) virtuoso grinning and exulting as he banged out the story, offering a thumb in the eye to every uptight Establishment cat inside SF and out. And this hippie-nightmare aura is indisputably part of the story: evident, I would guess, even to those unborn at that time. Published in Moorcock’s New Worlds, “A Boy and His Dog” is staunchly, defiantly American New Wave. All those post-WWII apocalypses that came before–Earth Abides, The Long Tomorrow, Davy, The Chrysalids–which were rather genteel, despite the amount of putative destruction involved, will now be replaced by rebellious portraits of true desolation and anomie. It is telling to note that Zelazny’s Damnation Alley was also published in 1969, further mark of the zeitgeist. Without “A Boy and His Dog,” there would be no Hunger Games, no Riddley Walker, no The Road. And the plethora of descendants from this tale make it hard for newbies to really savor its impact at the time. It’s like an eighteen-year-old reading Dune and remarking how Frank Herbert stole everything from Star Wars. After Mad Max and Escape from New York; after Grant Morrison’s We3 and even as domestic and contemporary a tale as Evan Dorkin and Jill Thompson’s Beasts of Burden; after a hundred grim, street-smart cyberpunk futures, Ellison’s novella might seem overfamiliar and even “derivative.” But of course it is rather the omphalos from which all the others sprout. A knowledgeable review and compassionate analysis. Indeed, “Blood’s a Rover” would have become an NBC-TV series if a certain writer-director hadn’t wiggled his saber at the network with a claim that he owned more rights than he really did (at least that’s what Harlan says), mucking the waters. This published work brings Ellison back into play and this review confirms that it was worth the wait. The chilling aside that “Ellison’s recent ill health foreclosed all possibilities of new fiction from his famed manual typewriter” came as a shock. Has Ellison stopped writing fiction? (Has he also stopped writing non-fiction?) If so, this is major (and very sad) news to reveal so casually. 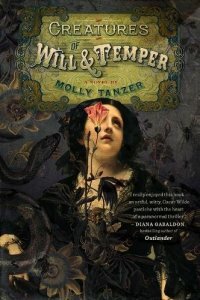 According to ISFDB.org, Harlan’s last published short story was ‘Who Wilts Lettuce’ in 2015? Yes, his stroke a couple of years or so back has limited his writing ability. His most recent story collection had some post-stroke introductions to the stories, but they were just a paragraph or two in length. I was at the Egyptian Theater screening in LA of “A Boy and His Dog” a few years ago, before his most recent illness, and he announced this book would soon be coming out. Based on what this review says, the book is just as he described it then. What I want to see next is the final cut of his documentary on his life and work—narrated in part by Robin Williams! I saw a work in progress of it a few years ago at the Areo Theater in Santa Monica. I never had so much fun at a Q&A in my life. True to form, he spoke eloquently on many subjects, including mouth-watering descriptions of the best restaurants in LA for various cuisines—except hamburgers: “LA is a hard town for a cheeseburger, man,” he said. But he gave us his own recipe for a proper cheeseburger he developed when working a stint as a short order cook. True to form, he also tried to attack a member of the audience, but the ushers held him back. Turned out to be a case of mistaken identity. May Harlan live forever in the pages of his books!